Mr. Washburn practices primarily in the areas of general business representation, not-for-profit organizations, real estate transactions (including purchases/sales/leasing of property both residential and commercial), estate planning and estate administration. Mr. Washburn is experienced in assisting business clients with a variety of issues including business formation, business sales/purchases, annual business filings, commercial real estate, and general business counsel. He also is experienced working with clients to develop appropriate estate planning vehicles to best meet the legal and financial needs of his clients. 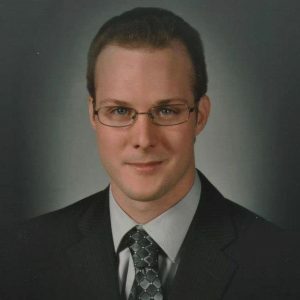 Mr. Washburn graduated from the Northern Illinois University College of Law in May of 2013 and was admitted to the Illinois State Bar in October of that same year. Prior to being admitted to the Bar Mr. Washburn worked as a research assistant at the Northern Illinois University College of Law and interned for a private practice working on estate planning, real estate, and corporate matters. After being admitted to the bar Mr. Washburn joined the firm for which he interned and continued to hone his skills in the areas of corporate law, estate planning, and real estate law. Mr. Washburn has presented on business law and estate planning topics through the bar association as well as the Small Business Development Center located at Illinois Valley Community College. Mr. Washburn has also co-authored an article in the Illinois School Board Journal regarding the benefits of multi-district transportation agreements for school districts.